The wishlist is currently unavailable as the account system is currently disabled. Please try again soon! The rugged MOTOTRBO CM200d is available as an analog/digital mobile radio that offers all the benefits of the CM200 and also has the latest technology - from superior audio to feedback suppression. The reviews represented below are directly from current owners of the product above. We, the Comm Centre, do not endorse any comments made below as they are that of the user who made them. While I do work at the Comm Centre, I have been fortunate enough to use the Motorola CM200d on many occasions and let me tell you, they are some of the best radio products I have ever had the pleasure of using. 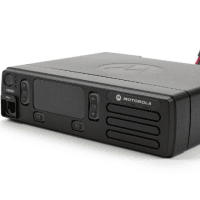 The almost endless amount of features on the radio, from digital encoding to channel security and more, are just some of the awesome benefits of these products. 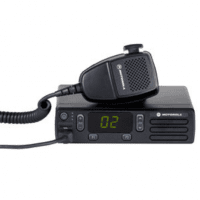 This is and has always been one of our best selling radios and we love to promote them to customers. The sound quality is superb and the price is medium for the market, but the quality is exactly what you would expect from Motorola.